The Yoga Radio Sessions New York tour. From big business yoga at Y7, already on 12 locations in New York and counting, with lots of merch (after all Americans are experts in the field of merchandise…), hip-hop, Slow Burn and Flow Hard (whoops almost forgot the ™-symbol! ), to the psychedelic experience of Woom via Yoga To The People, the latter an old donation-based favourite. Yoga Radio Sessions goes to New York to take the pulse on yoga, a city where there are probably most yoga studios per capita in the world. Three takes on yoga. Woom integrates vinyasa, ashtanga, taoism, dance, chinese medicine, iyengar yoga, sacred geometry, myofascial release - and more - into their very own blend. And don´t forget the visuals, from fireplaces to geometrical patterns all over the room, excellent sound system added. On the Woom menu there´s also special classes with sound experiences. Inspired by Dr. Stanislav Grof’s Holotropic technique, students practice a powerful form of breath that enables to disconnect from the “monkey mind” and reach heightened states of awareness and a deeper state of meditation. A variety of overtone-emitting instruments are played, including gongs, Himalayan singing bowls, tuning forks, bells, chimes and more. In the future, with a more lax jurisdiction towards psychedelic substances, they hope to add various types of mind-expanding, self-exploring medicines to the practice. In other words: a fully equipped multi-sensory psychedelic yoga studio. And the music? Yes. Guns ´n Roses too. 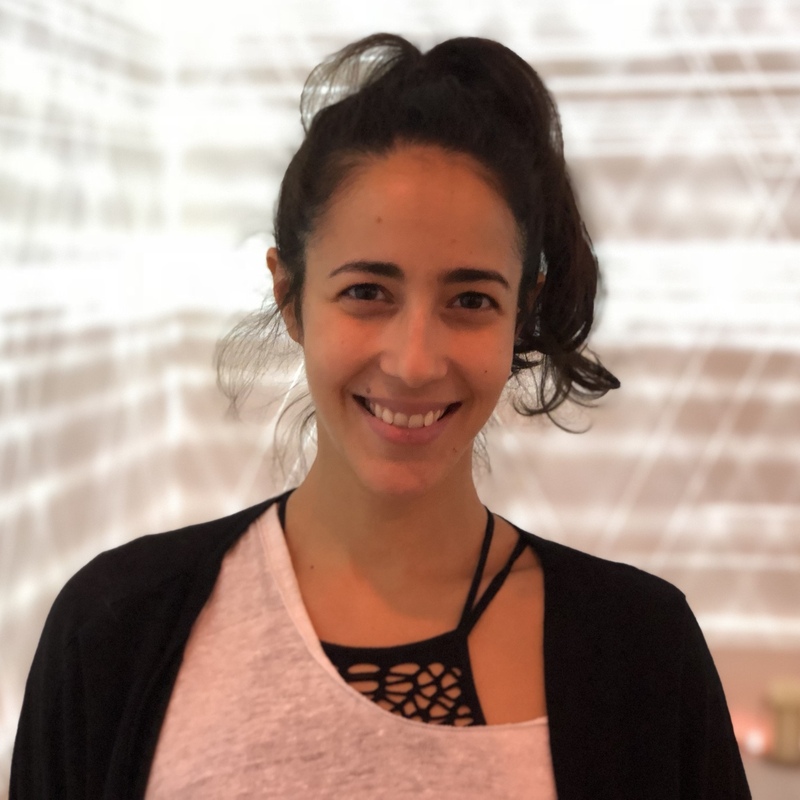 Meet the founder of Woom Elian Zach-Shemesh in an inspiring talk about yoga, life and the art of keeping keeping on in a highly competitive scene. Thanks to my daughter Valerie for the tips about these studios. PS: We tried to meet the founder of Yoga To The People and Sarah Larson Levey who created Y7 Studios, but did not succeed. This time. We´re on the web, Instagram and Facebook. See you there and on the frequenzies. Keep track on what´s going on in the yoga world in Sweden on www.yogatrender.se (you have to handle Swedish though).